Purchase this new Kubota BX1880 premium tractor package at any of our Kubota dealerships in central and southern Oklahoma. 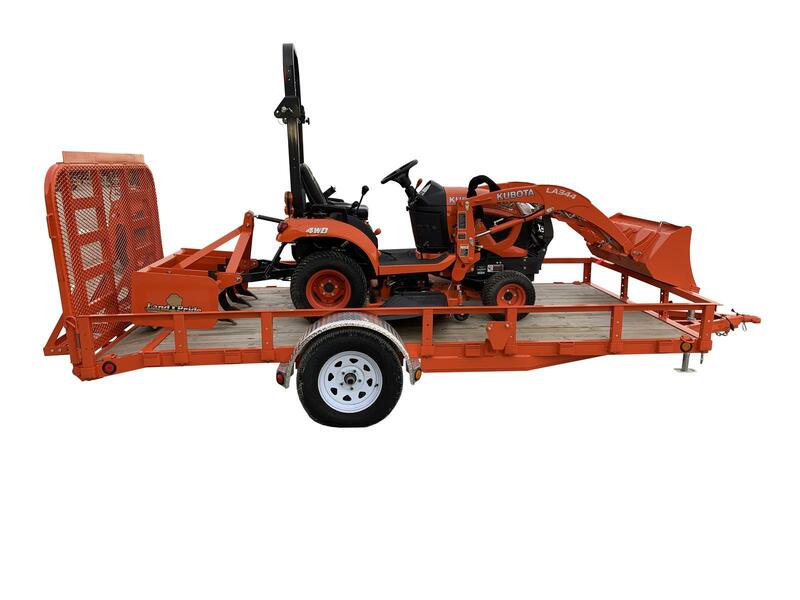 This 18HP sub-compact tractor is complete with a 54 inch mowing deck, a Land Pride BB1248 box blade, a handy Kubota front end loader and bucket, and trailer. Save big with our Premium Kubota tractor packages! Meticulous engineering leads to legendary reliability and excellent value – hallmarks of a Kubota tractor. Kubota listens to our customers to make improvements for real world applications. Quality, innovation and easy-to-use design – that’s a Kubota.